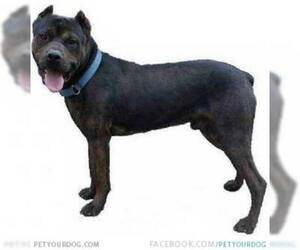 Overview: The American Mastiff (Panja) was originally bred from Pit Bulls and Rottweilers by the drug lords of Detroit, Michigan. They were used to guard drugs and make fierce protectors. 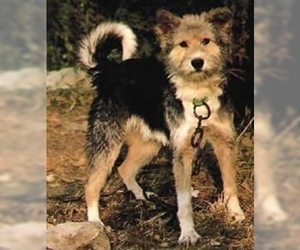 They were recognized by DRA in 1996 and since then the dog became a family companion. This large dog is strong and muscular with curious and alert expressions. This working dog has a muscular, athletic body. The chest is wide , limbs muscular, straight and well-boned. The head is broad and ears cropped. It has a docked tail and dew claws typically removed. The coat is flat and medium in length. Coat: Flat coat of medium length. Grows an under coat in the winter that is lost in the shedding season. 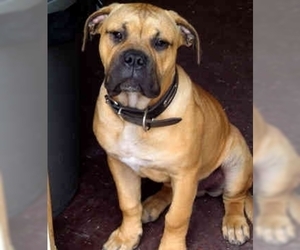 Character: The American Mastiff Panja is a strong, loyal and protective pet. 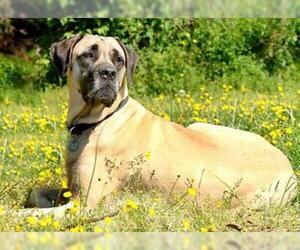 Temperament: American Mastiffs Panja like to dominate and do best with owners experienced with these dogs. Obedience training helps channel this protective energy. Not the best choice if you've never owned a similar dog. Care: Bathe about once each month and brush in the shedding season. Training: This breed needs obedience training. They require firm, consistent training from someone with experience with dominant dogs. 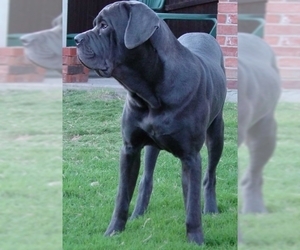 Activity: The American Mastiff Panja needs some room to run outside and a daily walk.